Get a high-intensity full-body workout with the low-priced Merax Vertical Climber Exercise Climbing Machine. 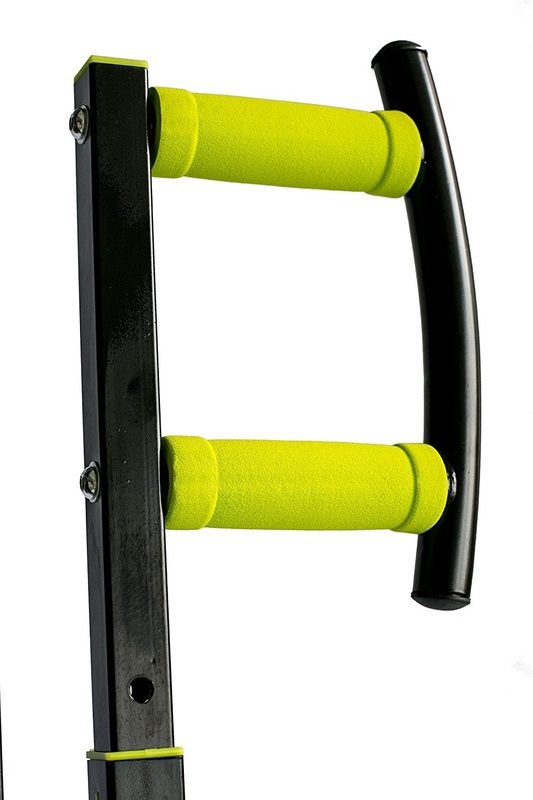 Giving a workout similar to rock-climbing, the Merax Vertical Climber offers an excellent aerobic workout, burning calories and toning your legs, abs/core, triceps and biceps all at the same time. In fact, climbing machines burn more calories than working out on a treadmill for the same amount of time! 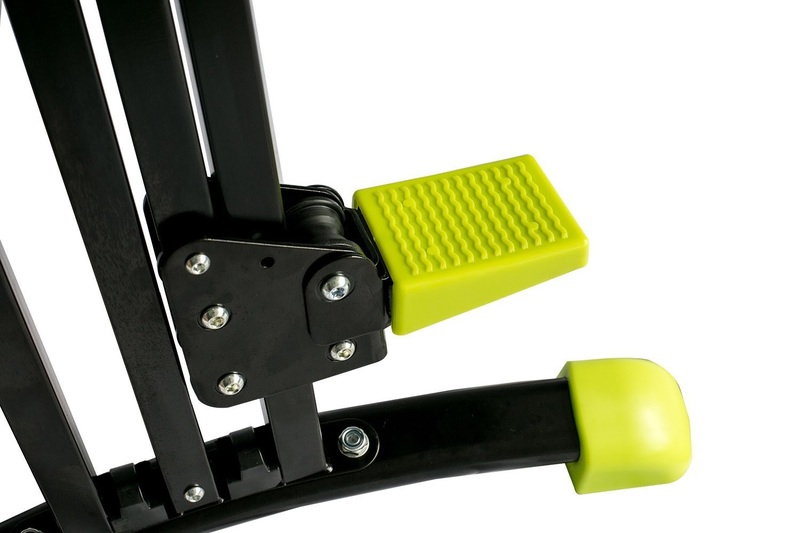 The Merax Vertical Climber is easily adjustable for different user heights with a weight range of between 220 to 330 lbs. 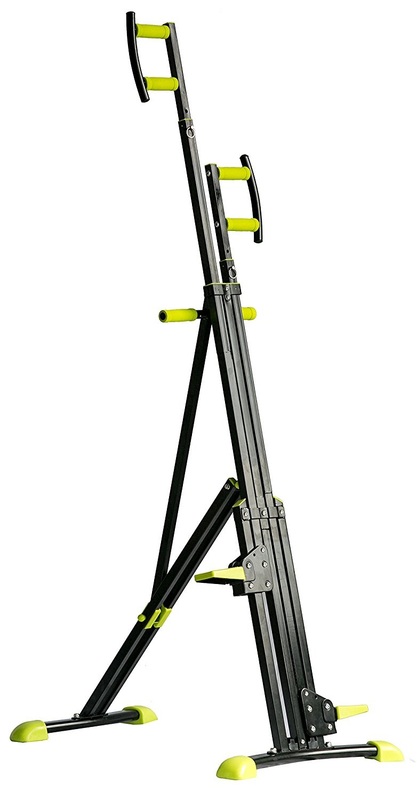 The Merax Vertical Climber Climbing Machine uses your body weight as resistance, allowing you to workout at your own pace and targeting all the major muscle groups of the body. 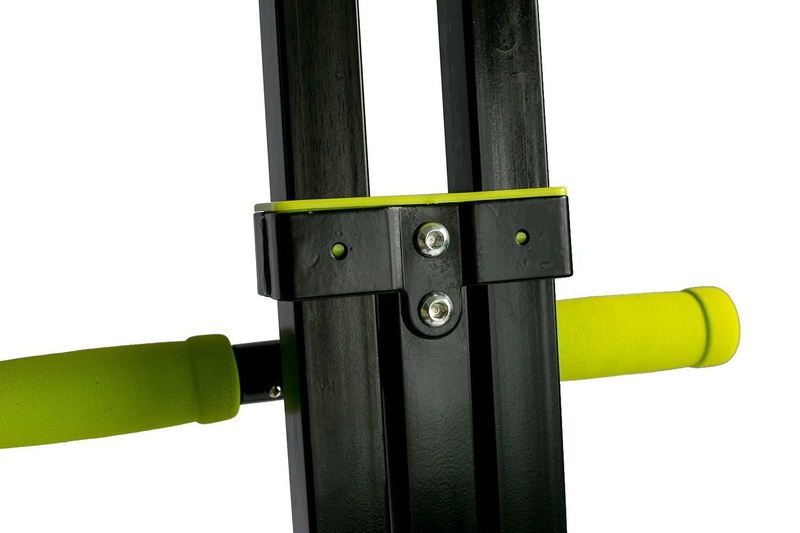 The Merax Vertical Climber features isometric non-stick grips for easy handling. The black durable steel frame is not only adjustable for different user heights but can also easily be folded up for storage. One advantage of the Merax Vertical Climber is that it doesn’t take up a lot of space, making it ideal for home use. Most high-intensity exercise machines are expensive and cumbersome and take up a lot of space so you’ll love the fact that you can get a very effective total body workout from such a compact and low-priced machine. Useful tip: Working out on a Vertical Climbing Machine for just 30 minutes could burn around 250 calories.